VENDING HAS GONE VIRTUAL. ARE YOU READY? 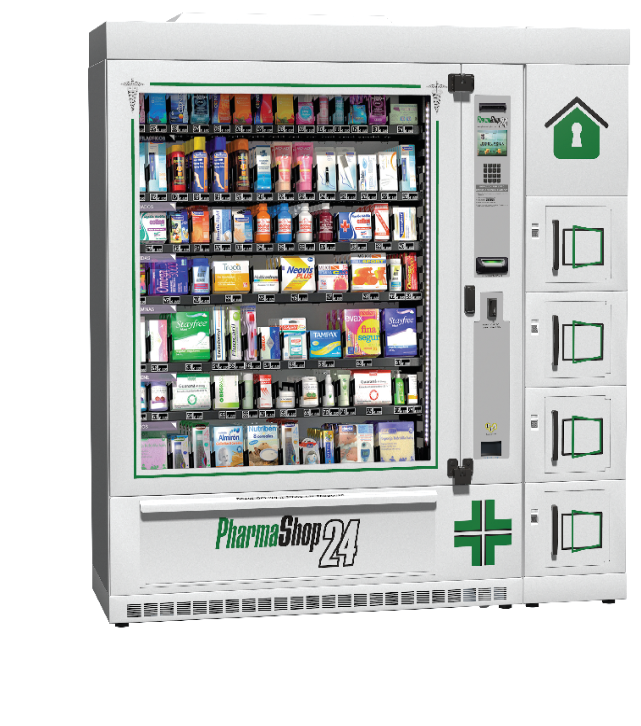 Pharmashop24 is the official brand of vending machines for Pharmacies and drugstores. Our dispensers are entirely designed and manufactured in Italy for more than ten years now. 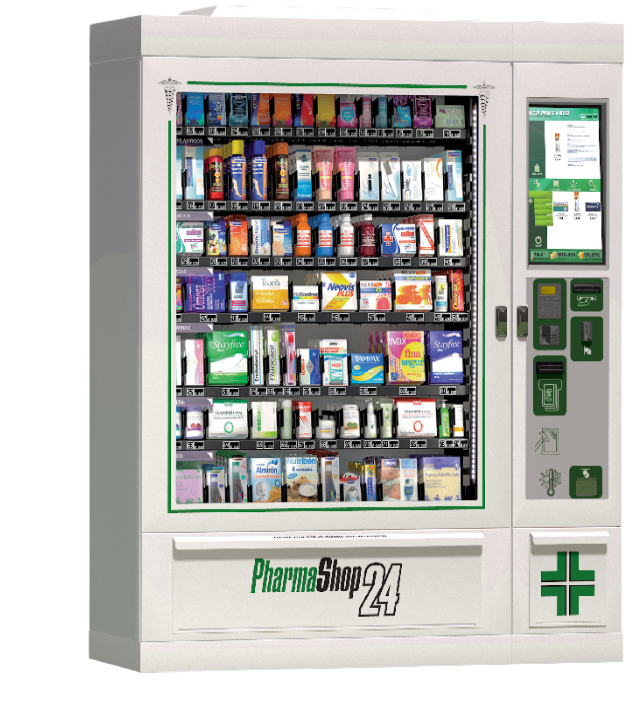 Thanks to their innovative features and their high standards of quality and reliability, Pharmashop24 vending machines have soon become nationally and internationally well-known. 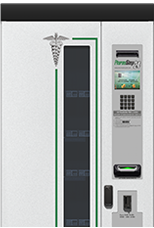 Our machines also excel with the product assortment they can display, allowing the pharmacist to offer an extensive range of selections; not only from the privacy area but also from the first aid, oral care, women care and baby care area. Moreover, we pay extremely close attention to the products display: by balancing aesthetic and functional features we have created an effective window display that visually highlights the items for sale and facilitates product identification and selection at the same time. 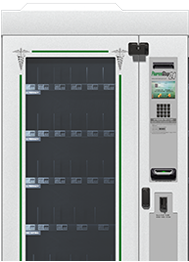 Finally, the sober and elegant design – together with the wide space left to the exposition – increases the attractiveness of Pharmashop24 vending machines, capturing and retaining the consumer attention. 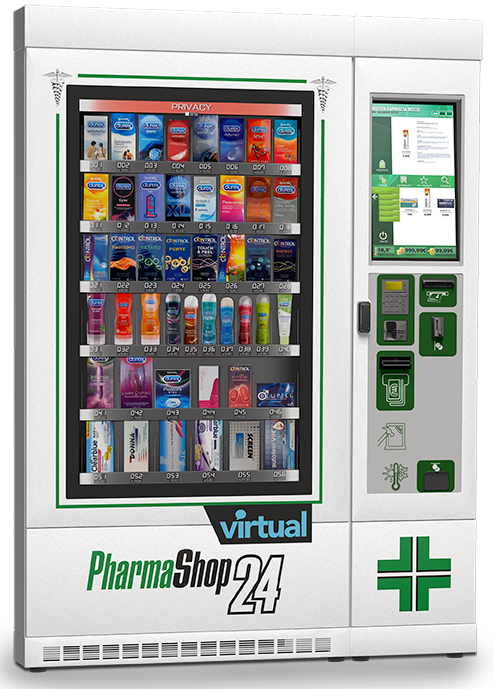 For those who would like to integrate their automated dispensing system with a vending machine, for those who have limited space in their Pharmacy window or for those who simply like to amaze customers, Pharmashop24 has created the Virtual vending window and the Interactive vending machine. 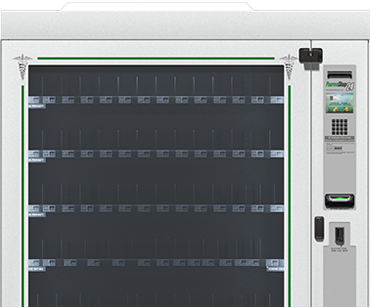 Pharmashop24 presents its latest version: the Internal, designed for those who would like to improve customer communication and interaction. 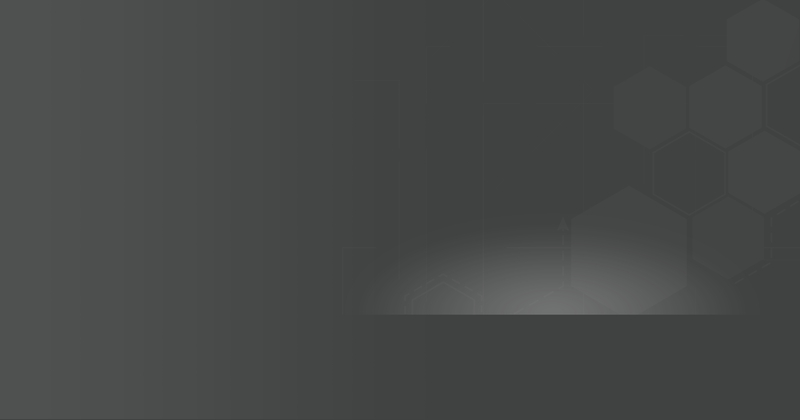 Our new model can efficiently be connected to the main Robots brands. 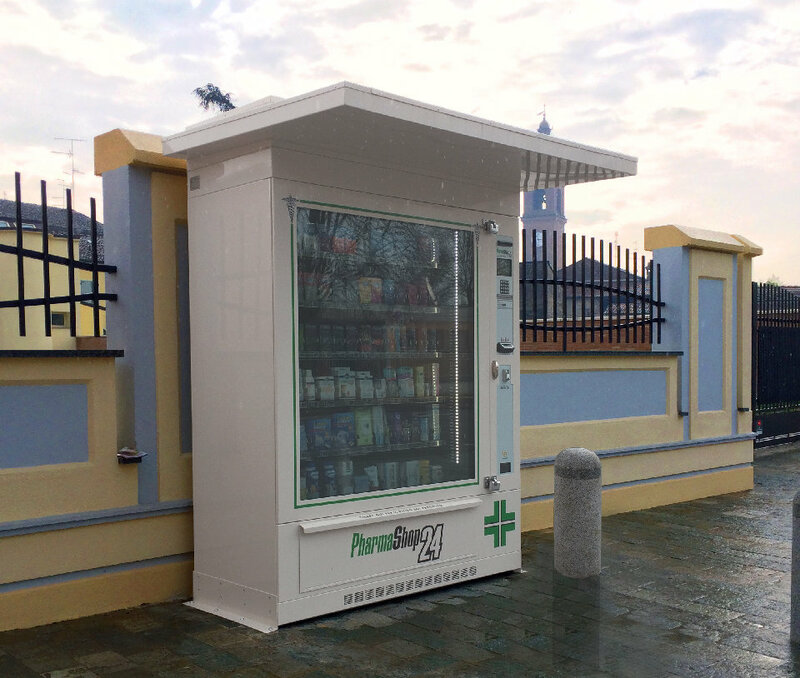 Although PharmaShop24 has specialized in vending machines for pharmacy, becoming its main source of innovation, the growing know-how has also been conveyed to different sectors. Other main markets are adult shops, pet shops, beer shops and easy shops. 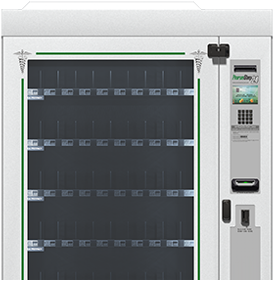 Easy Shop machines can be found in various locations such as shopping malls, transport station, petrol station or Hotels. We provide a dedicated support service to study and realize the most suitable Layout configuration , based on both our consolidated expertise and the analysis of the context and the pharmacy needs. 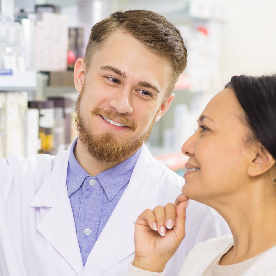 Through our dedicated web and mobile applications, Pharmashop24 offers advanced real-time telemetric updates on sales performances and status information – e.g. coin depletion, low stock, faults and anomalies alerts. Through our new PS24 App you can make products information available to customers, provide recommendations, introduce special offers and allow secure purchase via Smartphone. Customers can browse through the products on sale in the machine, consult the instruction for use and pay easily via PayPal.